The University of West Georgia will host between 500 and 600 competitors at the twenty-seventh annual Run for UWG on Thursday, Oct. 4 at University Stadium. The yearly event consists of three separate events: a one-mile fun run, a tot trot and a five-kilometer run through the athletic complex, all with varying levels of competition. New to the event is the five-kilometer relay race. Instead of running the full five kilometers, the competitors have the opportunity to join a team and run a one-mile leg before passing the baton to their teammate. Winners of the timed five-kilometer races will be announced in age groups ranging from ten and under to 70 and over. Awards will also be given to overall race winners, relay race winners as well as the male and female grand masters. Recently, with the addition of the athletic complex, the course moved away from an off-campus site. The new course starts at University stadium and circles the intramural and softball fields before climbing the first hill. The turnaround occurs in front of the Coliseum and continues back toward the stadium and the finish line. “The stadium course serves the runners well because there is no traffic to worry about and it is actually quite challenging,” said Pritchett. Students and faculty alike will be found among the crowd of racers supporting UWG students. The cost of the race is $15 for all UWG students and $20 for those not currently attending the university. 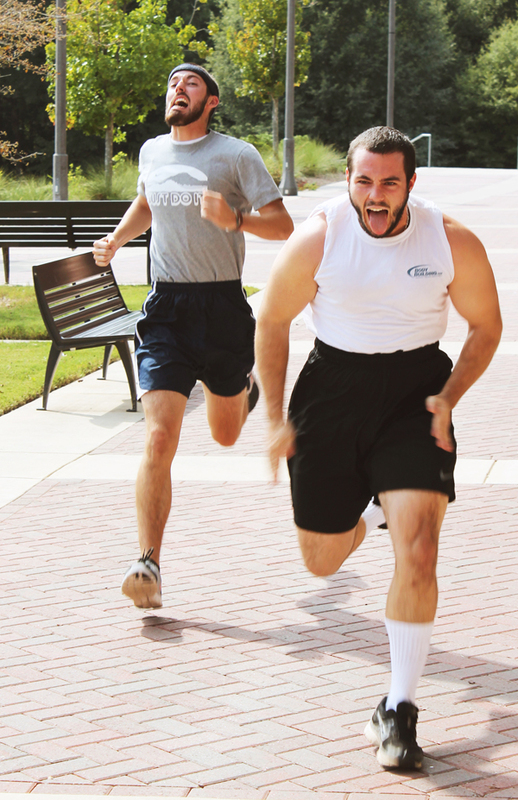 All of the proceeds from the race are used to serve the students at UWG. For more information concerning the race, including the application and a map of the course, visit http://www.westga.edu/alumni/index_20086.php or contact the Alumni Office. This race was a ton of fun and well organized. I can’t wait to participate again next year!